The results for the fourth quarter have not been released yet. Net sales for the third quarter 2018 were up year on year. However, this is not the full picture. 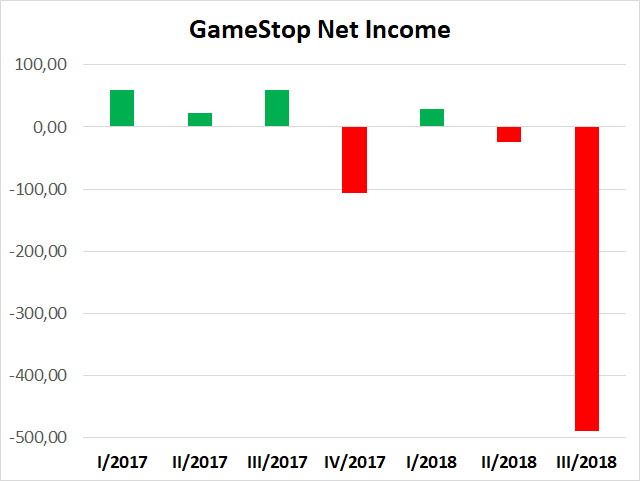 Now, the fourth quarter results are missing, as mentioned above, but you can see that quarter on quarter Gamestop made less and less money with pre-owned games in 2018. They do make more money with collectibles (the collectibles market is growing) but it’s not enough to make up for the fewer sales of pre-owned games. GameStop reported a loss of almost $500 million in the third quarter of 2018. And even in the fourth quarter of 2017, the usually strong holiday season, GameStop reported a loss of almost $100 million. So what is going on? In short, the internet. GameStop’s pre-owned games business is shrinking, because fewer and fewer physical copies of games are sold, with an increasing number of people buying digital copies on the Sony Playstore, the Xbox or on Steam and Amazon. A gamer can’t sell a used digital copy of a game. And your business model comes to an end. Analysts (and apparently potential investors too) believe that GameStop doesn’t have a viable business model anymore and that Sony and Microsoft (and Steam/Amazon on the PC) will further disrupt GameStop’s core business. 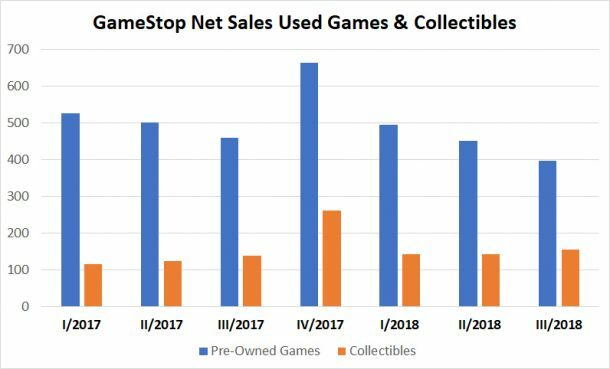 GameStop’s collectibles business is growing, but it simply cannot make up for shrinking sales of games. And while GameStop also sells new games, the problem here is that profit margins for new games are well below the margins for used games. 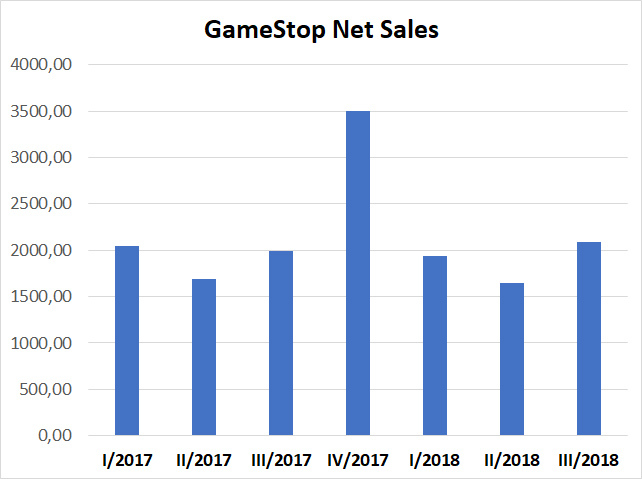 In short, with the used games business on the decline GameStop has no options to buck that negative trend and downward spiral, since it is their core business. As you can see selling new games and especially video game hardware (consoles etc) is not very profitable, used games is where the money is. Interestingly enough the profit margins for collectibles, as reported by GameStop, are quite high, almost 40%. Makes you wonder what that means for various Hasbro Star Wars products. So it may very well be that GameStop will end up as yet another victim of the internet. And that means yet another store less for Hasbro to sell exclusives to. 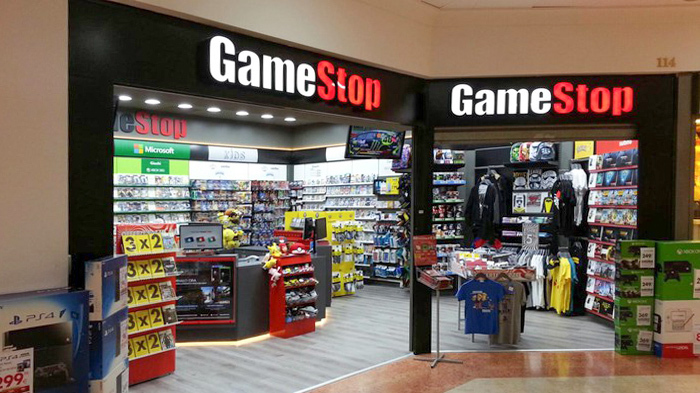 Maybe GameStop can somehow reinvent itself, they are trying to focus more on collectibles, but a GameStop without used games would look very different and would most certainly not have several thousand stores across in the USA and across the world. After today’s announcement GameStop’s stock price dropped 25%.